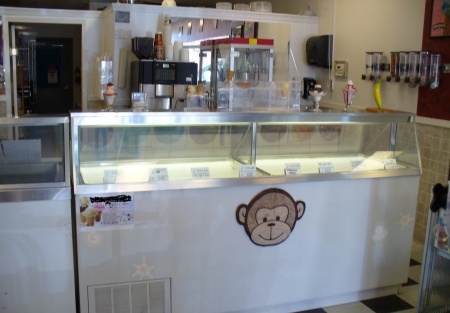 Turn key opportunity to own a Ice Cream & Yogurt shop. It has all the equipment for a build your own Yogurt dessert in the seating area and a display freezer at the counter for the scoop ice cream. The restaurant has the equipment to serve ,soups, sandwiches,snow cones,popcorn & espresso,although currently not in use. This would be a great source of additional revenue! The restaurant is located in a nice upscale area in Rocklin. The lease has been reduced to $1,675 total per month. This low price includes all the equipment and tenant improvements which would easily exceed the asking price. The current owner has been offered an opportunity he can't pass up outside the United States. Don't hesitate or it will be gone! Please select one of the bright orange buttons below to get the name and address of the restaurant. If you're not a registered buyer, it will ask you to register. It costs you nothing! And you'll get placed on our e-mail list getting first look at our newest listings.This is a Paramount Restaurant Brokers, Inc. listing. WOW $24,000 for All Equipment and Tenant Improvements !!!!!!!! !